Quote: Thanatos are harmless, you do not need to fear them! - Famous last words. Quote: Sometimes when Nemesis ships are badly damaged, their crew members start to get the desire to destroy space tunas instead of Fortuna. This is extremely embarrasing for everyone involved. Quote: Several tourists die every year by attacks of several types of fauna, one of which looks exactly like bread, but is not bread. Be afraid of bread, do not eat bread. ★ Sponsored by Chu-Chu Cocoon, "Just get whatever you want" Prize! Only a talksprite would be nice. -GimeurCookie is a trash tier game dev! hahahahaha delete this before submitting if you actually even read these. "Ybe crew members get rapidly increasing morale penalties if kept in cramped conditions. Be sure to only recruit them if you have a large ship or several free crew slots." "Eukaryote is a land of strange and dangerous beasts. There is also a lot of hostile wildlife." "Just because your crew was justified in what they did doesn't mean the media will see it that way in fifty years. Your past crew might not exactly be flavour of the month..."
If you're ever feeling too happy, remember that somewhere out there there is a norail with ( ͡° ͜ʖ ͡°) as a mask. You'll never meet them but they're still out there. "The galaxy is filled with items of all kinds. For fun, consider freeplay mode and see what oddities you can find." "One of the rare things you can find throughout the galaxy are special consumables. The good news is the character that uses them will never be the same again. That's also the bad news." "One item in particular is said to be a free ticket to fortuna. Unfortunately, its only good for one person on a one-way trip." "If you have the cash AND the connections, you might get a hold of a special phone. Don't ask who's on the other end, clearly state your purchase, and avoid eye contact with the delivery team. They can tell if you have the money." A Chu-Chu meat cocoon sounds pretty nice. Sponsored by Chu-Chu Cocoon, "Just get whatever you want" Prize! - Have you ever seen two trains fight for supremacy in the wild? - The best way to get to Fortuna is by delivering a pizza. - Karma isn't real, unless you care what happens to your crew after your game ends. If you don't, go wild. - If you're not worrying, the game is one step ahead of you. If you are worrying, you're one step ahead on a path that isn't there. There is no in between. - If you mess up, don't feel bad! It's only a game. Okay maybe feel bad a little, I mean you did ruin that thing... No that's too much, you could've done way worse! That's too little again, it was still pretty horrible... No- Ugh I give up. - When in dangerous situations, remember to consider both the powers of the species on your crew, and any AIs with you. For example, Apollo units are fireproof! - Sometimes the real Fortuna chest is the friends you killed along the way. - It's not about "why," nor is it about "why not?" It's about regret. - If a species looks plain, double-check what kind of customization options they have. For example, kuppas can have nearly any kind of coffee cup, mug, teacup, or teapot as their head. Yes, even the novelty ones. Especially the novelty ones. Reminder to please put your prize list in your post else I will assume you have decided to submit loading text with no prize entry wanted. -A Horse, a Horzz, and a Prelytas walk into the bar. The barkeep asks "Why the long face?" The Horse neighs, the Horzz nayzzs, and the Prelytas disembowels him for asking such a stupid question. Cue laughter and snare drum. -To do hybrids is simple, it's just about the Aftiks and Apidees. -Pro Tip: If people don't eat food, They DIE! Bet you didn't know that one. -Did you knows bees die when exposed to a vacuum? It's true! See for yourself. -Just what is the deal with spaceline food? -Just because you give someone a fancy name doesn't mean they'll be a fancy person. Doesn't hurt though. -Reminder: Put in more tips. 1. Sponsored by Chu-Chu Cocoon, "Just get whatever you want" Prize! I don't actually know If I can ask for multiple prizes. - Isments don't actually exist, and anyone who claims to have seen one should not be trusted. - All 'Mystery' rations sold by Heredoggo-run establishments are best left as such. - If anyone offers to sell you a bridge you should definitely trust them. - Athena units going feral is a feature. Please stop reporting it as a bug. - Some who seek wealth do not go to Fortuna, instead they capture geckrechauns in hopes of finding their secret pots of gold. - If you're starting to get frustrated with your game, try taking a nap. I promise nothing weird will happen while you sleep. - Make a limbo god your patron, I dare you. - Please don't do anything weird with the Fortuna chest. 1. "Language translation settings for Fortuna are not accurate right now due to the system just using Google Translate to process the text into other languages. Please stop posting funny mistranslated screenshots in the forums, we are trying our best." - A message from the Fortuna developers. 2. When considering whether to use necromancy for a situation, an acronym can be helpful. Consider "NINOUYWARCF", which stands for "Necromany Is Never Okay Unless You Want A Really Cool Fusion". Many people remember it just by "NINO", though. 3. People often mistake kloegarbs for clockworks due to the fact that many of them have built-in gadgets. Many clockworks don't look nearly as coherent as kloegarbs, though, which is an easy way to distinguish between the two. 4. Listening to music can often raise a character or crew's morale. In related news, research has shown "I Want It That Way" is most effective in boosting morale. "Some people claim your wish should be able to fit in the fortuna chest but they have a serious lack of ambition." " "I'm a goopmick" said the Kounini. "That's cool. I happen to be a kounini" said the goopmick." "Be sure to keep your tourist crewmembers at a safe distance from any landmarks." "Coconut flavored items have a small chance to provide permanent boosts to your characters, should they consume them. However, expect a large, temporary moral drop after eating them, as coconut is just that bad of a flavor." Current raffle numbers! See you at the raffle in 40 minutes! 14! For Fellow! Fellow has won Saints roll. 5! For Almond! Almond has won a chuchu. 1! For Laser! Laser has won a chuchu. Species applications have opened, so this month's raffle will be themed around species ideas! We had a lot of donations for this raffle come in so please thank everyone who donated! End date: You have until 9/1 to enter in to the raffle! Any entries after that will not be counted. The raffle drawing will be done live in a stream on 9/2! 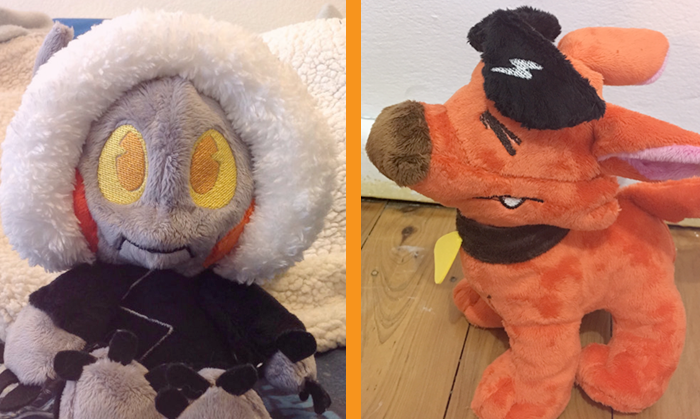 There are going to be TWO prompts this round, the first prompt about the chow dome enters you into the main raffle, the fan fiction enters you in to the Plushy raffle. YOU CAN ENTER BOTH AS LONG AS YOU DO BOTH PROMPTS. To enter the main raffle just give us a one sentence species idea, and tell us how they would eat at the chow dome, or give us a one sentence fauna idea, and tell us how they would taste at the chow dome. What's the chow dome you say? It's a place you eat. A place you _Have_ to eat at. Please. Eat at the chow dome. To enter the plushy raffle all you need to do is write a 2 sentence or longer fanfiction that includes the character Hermes in it. That's all! Feel free to have fun with these prompts! Jokes are VERY much welcomed and feel free to donate your species/fauna idea to the [GAIA] topic so that people who maybe feel inspired by it can make a species out of it. Same as the above reward just with a different name. Donated by Splish! Donated by Hermes! YOU MUST DO THE EXTRA PROMPT TO ENTER. A species that wanted everything, and double of everything, so they tried to double themselves (eg. cloning) except rhey ended creating another version of themselves, stuck to their body and have two heads, four arms etc. except they share one body so that's fun, and one head is a carnivore and the other a vegan or vegitarian. Reminder to please post your reward list. If you lack a reward list I sadly cannot count your entry. The reward list makes sure that no one wins a prize they do not want. To enter is simple! First make a numbered list of all the prizes you want from most wanted to least wanted. Please only put prizes you want on the list as you will not be able to reject your prize or pick your prize after you win. All prizes are picked from your list! You can only win once, and when you win you're taken out of the raffle. Sorry! I didn't see that. >_< I'll edit my post. A fauna that is very good at mimicKing species, and can recreate appearances almost perfectly. But just appearances, and only superficially. Imitating a kuppa for example may make one notice that the blood in their head is a solid mass. Also they aren't exactly verbal or intelligent. Please feed them. They taste like orange play dough. So no wonder he seems to be worried. Post sure the promise was if I win the anything prize again I have to retire so let's do this!!! A species composed entirely of prisms. like, the ones that turn white light into rainbows. they eat by shoveling food into their mouths and then converting it entirely into energy for more rainbow making shenanigans. Hermes had spent hours equipping the proper attire. "fancy hat? check. bowtie? check. makeup? check. cologne.... *sssst! * check." and with everything on, he made his way out and to his destination. moments later, he stood at the door. Quivering nervously he brought one hand up to knock. Suddenly the door swung open. "Hello there, Mr. Hermes! glad you could make it." Mors squeaked cheerfully. "HithereMorsareyoureadyforourdate?" Hermes asked, as his body shivered slightly. "Mr. Hermes, You have got to stop this gosh darn habit of not paying attention to the full sentence." Mors replied. "Wh-Whatareyoutalkingabout???" Hermes sputtered. "PLAYdate, Mr. hermes. PLAYdate. somnus and I have been rather lonely recently and we wanted to have you over and play a game. It would seem that you had different plans." Mors explained. "............." Hermes was lost for words. his screen was glowing pink with embarrassment. "So Mr. Hermes, are you planning one coming inside for games, or not?" Mors asked. Without saying a word, Hermes stumbled through the door, and headed off for his playdate with mors. stay away from turnips. they mean only harm. A desiccated fish found swimming/burrowing through salt seas, falls apart in contact with water. Known for ruining rations and contaminating the water supplies of locals. Less known for swarming and devouring pack animals. The fish is best eaten by allowing it to dry out entirely, and ground into a fine powder. This powder is poor in nutrition, but adds a unique salty/fishy taste to meals. Best used with dry food, and to avoid drinking water before or during the meal. A nocturnal species that changes their appearance based on the light level of the area. For example, if the area is harshly bright, they'll shrink and blacken. If the area is darker, they'll grow in size and start to glow. Can come in a variety of colors, like cool blue or dangerous red. They feed off darkness (kind of like a reverse solar panel) so to eat in the Chow Dome they'd probably just spend about 15 minutes in a small dark room. A "friendly" bug fauna that subsists off small amounts of your blood. No, really, you won't even notice the giant proboscis of this person-sized bug...Tastes like shoving 50 live mosquitoes in your mouth. Hermes tapped his claws impatiently. "Any moment now," he thought. "Oh what if I got the wrongTimeWrittenDownAndI'mHereNowInsteadOf--"
A voice broke his thought. "Hermes! I had some tours to finish up, were you waiting long?" Apollo looked just as well dressed as usual, even at a casual location like this. "That doesn't matter, I'm with you now!" Apollo blushed a little at the comment. "Pff you're such a charmer." "Not as charming as you," Hermes said with a smirk. Together they walked through the park, babbling their worse jokes and puns to each other until they reached a large clearing. Apollo gasped as he looked up. "A solar eclipse...It's...you looked this up and planned our date for this?" "Of course I did, I love you!" Apollo's screen flushed orange and he pulled Hermes into a hug. After a while, moving his head so he could watch the eclipse. By the time they both had to go their separate ways again, not only was the totality over, but the entire eclipse. Sponsored by The Chow Dome, "Just get whatever you want" Prize! A species that eats buildings. They just eat the entire chow dome. Litterally, the whole thing. Fauna Idea: The Meatlobe, a brain-like creature that has the biological consistency of an adequately prepared meatloaf. It usually tastes like a meatloaf, but sometimes, like something similar to, but fundamentally different from, a meatloaf. Species Idea: This species, used to the mandatory eating of places like the wonderful Chow Dome, sit down to eat their food placed in heat-resistant bowls, melt their food given to them into a liquid by blasting it with heat from their mouth, as they then drink the molten food liquid for nourishment. Any of the "Get what you want!" Prizes, Any of the 3 games, or the Art from Hichico.